In Settings/Printers & receipts of your Hiboutik account, you can set up the header and footer of your receipts. 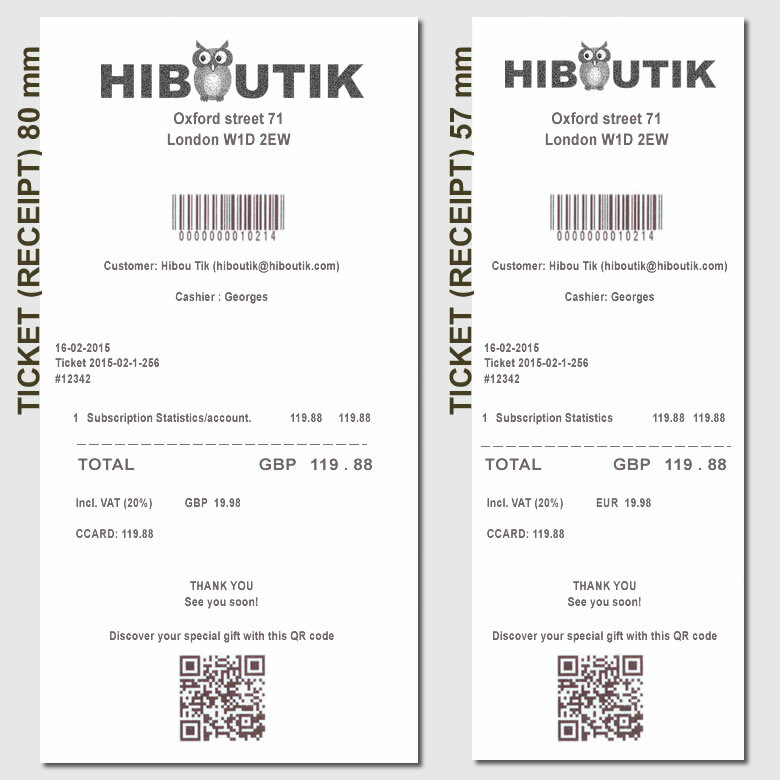 With Hiboutik POS software, you can print your receipts on thermal paper rolls of 3-1/8” (default size) or 2-1/4” (right to enable in Settings/Access management). If you want to format your text or add variables (customer name, loyalty points…), you can use the codes described bellow. Some codes must be type alone on one line (with no text or variable before and after the code on the same line). 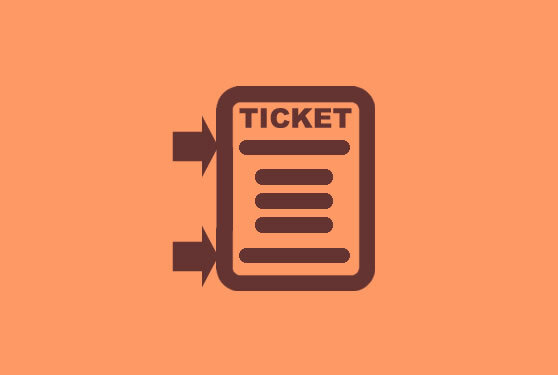 You can also add conditional codes, to print the variable only if the condition meets the requirement. For an advanced setup of your receipt layout (sale detail), please read the following article: customize your sale detail on receipts. <hibou_print_logo_deprecated> Print the logo saved in the printer. Must be followed by your logo code (code available in your printer utility). Only for old hardware. – and finally to add the first name of the cashier. This entry was posted in HARDWARE and tagged receipt, ticket.